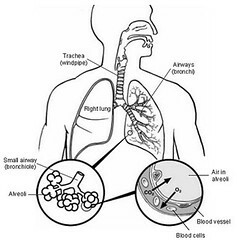 Asthma: www.medical-explorer.com/asthma.php Asthma is a condition that affects over 162 million adults and 6.7 million children in the United States. This is a serious disease which needs treatment, and something I have personally been dealing with for the past 10 years. By seeking regular acupuncture and herbal medicine to control the asthma symptoms, I was able to dramatically reduce the amount of Western medication I was taking. Traditional Chinese Medicine is a wonderful tool to use during pregnancy. It's drug-free, and relaxing for both the baby and the mother. It can be used throughout the entire pregnancy, and even after delivery. Although there are a few acupuncture points that are contraindicated in pregnancy, there are many safe and very effective points that practitioners can use to help the mother feel her best during this special time. During the first trimester (1-12 weeks) of pregnancy, a woman might feel fatigue and nausea, both of which may slowly disappear by the second trimester (13-28 weeks). There may be some herbal formulas to take, but these may be limited due to the fact that many herbs can't be used during pregnancy, and the taste may be difficult for a pregnant woman to swallow. Weekly acupuncture treatments are the best remedy during this time of the pregnancy to combat the nausea and help her gain some energy. The second trimester is the time where the woman may start to feel slightly better in regards to the nausea, and also when she will begin to look pregnant and feel the baby move. That being said, heartburn, constipation, and even hemorrhoids may occur during this time. This is due to hormonal changes that affect the smooth muscle in the body as well as the veins. Acupuncture points can also be used effectively at this time to provide relief for the mother. In the third trimester, acupuncture can help relieve edema, or water retention, around the ankles and feet as well as back pain and insomnia. If the baby is in a breech position, moxibustion can be used to turn the baby around. It usually takes around ten days of using the moxibustion stick daily, but it can be very effective when using it properly. Acupuncture can also be used closer to the delivery date to help with effacement and to shorten the labor time. There are also some practitioners who will help induce labor in a baby that is past the due date, depending on the situation. There are some hospitals and midwives who also allow acupuncturists to be present during a delivery if requested by the mother. Every pregnancy is different, and it's important to keep an open mind with the treatments. This site has some good suggestions about Western herbs to avoid during pregnancy, as well as some other helpful hints. Mother's Special Blend is an oil that several women swear by to help with stretch marks (you can also find this at New Seasons in Portland). Pregnancy is a special time in a woman's life, and I believe that acupuncture can effectively help her to have the best 40 weeks possible. This time of year always seems to be prime for sinus and lung infections creeping up and knocking us off our feet. The cold weather has settled in, the excitement of the snow has passed, and the holiday season has come to a close. After traveling around more than usual and consuming rich holiday foods, our immune systems are feeling a bit low as well. This can lead to a serious problem if we aren't careful. While antibiotics definitely have their place in getting rid of certain infections, Chinese Medicine can also be used to treat them without the side effects some antibiotics tend to have. Brian Carter wrote at www.ambafrance-do.org, "Chinese Herbal Medicine can address the full spectrum of complaints and causes; we (acupuncturists) often treat the conditions which are not responding to conventional treatments like antibiotics." 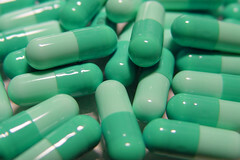 Unfortunately, sometimes the wrong antibiotics are given, or there is an allergic reaction to them. By using Chinese Herbs and acupuncture, the use of antibiotics may be avoided altogether in some cases. However, preventative action is needed in order to stave off the respiratory infection in the first place. Several herbal formula companies produce effective formulas for sinus and lung congestion, and due to the different stages of infections, it's a good idea to talk to your practitioner about which herbs are right for you before taking them. In the mean time, be sure to stay warm, drink plenty of water, and even use a nasal irrigation technique if necessary or recommended by your practitioner. School brought me to Portland. In 2002, The Oregon College of Oriental Medicine was listed nationally in the top 3, for Acupuncture and Oriental Medicine schools. 2. Why did you decide to become an LAc? I was working prior to school in Pittsburgh PA, at the Center for Complementary Medicine as a research associate. There, I was able to take a closer look at Acupuncture research as well as many other alternative healing practices/supplements such as EMDR, SAM-e, etc. I also grew up with parents that were very open minded so I was exposed to alternative medicine from a very young age. I was raised vegetarian, and surrounded by the teachings of Prem Rawat, which had a deep rooted effect on the evolution of my soul, and the beauty of life and its importance. 3. Tell me about your practice. I operate a small business in the B & O building called An Sen Clinic (SE Industrial District). The name means peaceful heart in Chinese. I developed a space which I think helps contribute to the healing sessions we offer. It is cozy and relaxing, with a modern yet traditional oriental flare. An Sen Clinic offers a variety of healing modalities, including Acupuncture, Herbal Medicine, Diet and Nutrition, Full Body-Massage, Reflexology and Facial Rejuvenation. I feel that my practice and practice style is ever changing, evolving, and simplifying. I like to work on many types of issues, and I sort of see myself as a GP of Chinese Medicine. I also focus heavily on mind, body connection, and mesh together TCM with 5 Element, and musculoskeletal techniques. 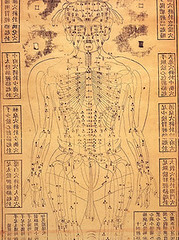 I have a great explanation of the services we offer @http://www.portlandacupuncture.net. Where does your passion for the medicine come from? The passion comes from it’s connection with nature and energy, which we are apart of and flowing with. I love that is offers something else, something deeper on a healing level than your average medicine. I like to listen. 4. Any advice for patients? Think of yourself as training for a difficult race. Your body and mind have to be in peak shape, which isn’t always easy. Take it step by step, be firm in what you want to accomplish, but don’t beat yourself up. Get the support you need with the medicine we offer. 5. What is your favorite Portland restaurant and why? Boy that’s tough. I guess I will mention my local fav “The Blue Monk” in the Belmont District, for the times I just need to simply walk up the street, sit down, and have their “cilantrotini”. I really like and jive with the east coast owners. It’s a great chill out spot. Memorial Day is an important holiday that seems to be often overlooked. It's often seen as the time for relaxing or a possible camping trip, but today was meant to remember those who have lost their lives in war. 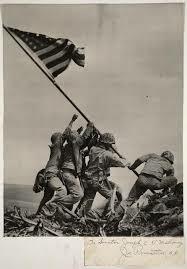 Driving past the cemeteries decorated with US flags today reminded me again what this day is truly about. Everyone I know has had a family member, a friend, or someone close to use who has served in the military. Some didn't return from the wars they served in, and we remember them this day. However, I feel that today is also an important time to remember those were able to return home. I thought I'd give a list of a few places where those veterans who have safely returned home might find some assistance. Returning Veterans Resource Project NW is another free source of assistance for veterans. They have a list of providers who offer free services to veterans and their families. Acupuncturists Without Borders is a program in place throughout various cities and states, and you can check their site for more information about where to find them. They have a great listing of where clinics are already open, and where new ones are soon starting up. Portland Veterans Acupuncture Project (PVAP) was initiated by Rick DeTroye, LAC, and Diane Miller, MD, who have set up weekly free treatments in southeast Portland with the intention of helping returning veterans. You can check out their brochure for more information, and read an article from the OHSU site about the project. Today is an important day for many of us. Remembrance of people who are no longer with us is an important part of helping to heal, but also keeping their memories close to us with each passing year. My name is Amy Chitwood, and I'm in my second year of the Master's program at the Oregon College of Oriental Medicine (OCOM) in Portland, Oregon. I taught English in Ulsan, South Korea for three years, which was an incredible experience, and also where I discovered the healing abilities of acupuncture.